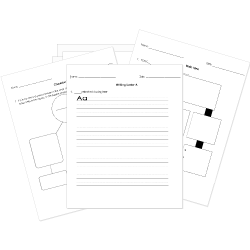 You can create printable tests and worksheets from these Grade 5 Charlie and the Chocolate Factory questions! Select one or more questions using the checkboxes above each question. Then click the add selected questions to a test button before moving to another page. What does Charlie win at the end of his tour of the factory? The Oompa Loompas come from Oompaland. takes half of Grandpa Joe's meals because "he is young and needs his energy"
When Veruca Salt is thrown in the garbage chute, Mr. Wonka says the squirrels think she is a bad nut . What do you think the Glass Elevator represented for Charlie? (At least 2 sentences). In the tunnel the children point out a few non-nonsensical signs. Which phrases did the children see? Veruca Salt is the first to find the Golden Ticket. Grandpa Joe is Charlie's best friend.